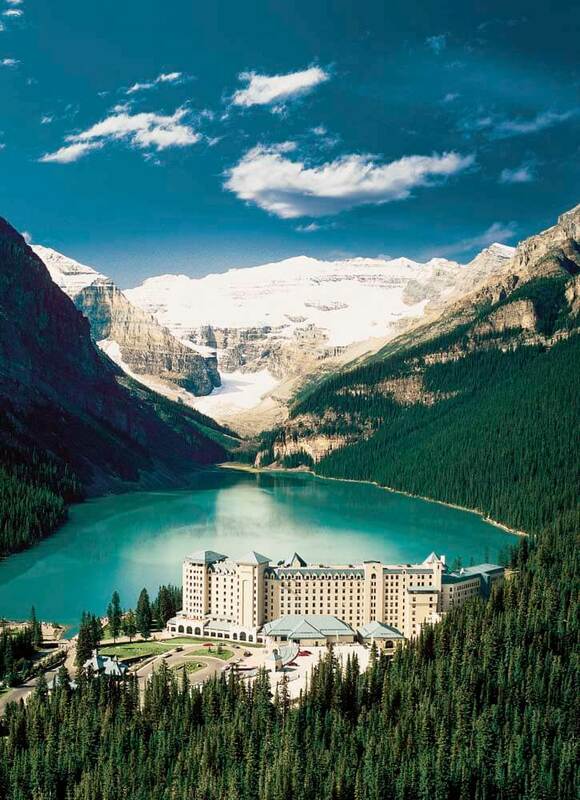 Glistening glaciers, remote ice fields, snow capped peaks and the crystal clear Lake Louise create a wonderful setting for the five star Fairmont Chateau Lake Louise. 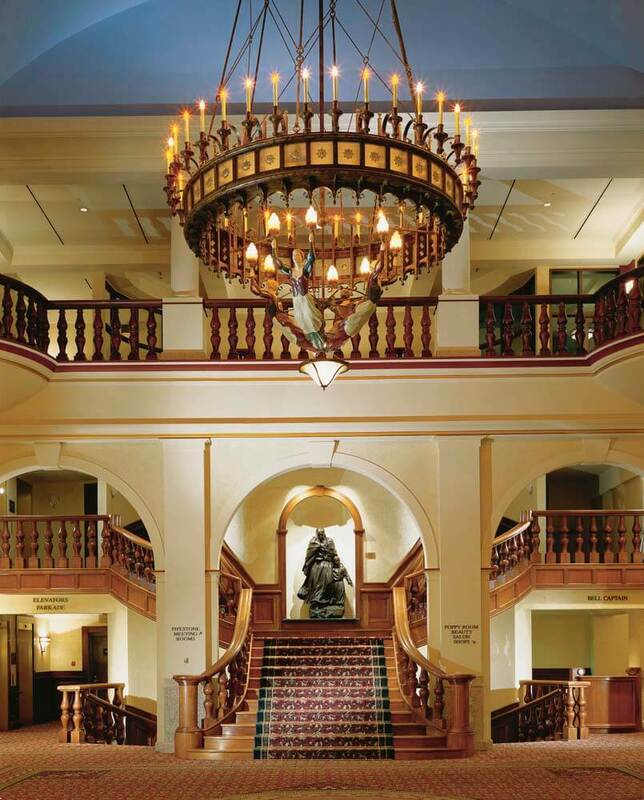 As one of Canada’s most grand and best recognised hotels, The Chateau Lake Louise offers amenities to fill every moment of time during the summer. Hike, canoe, mountain bike, fly-fish, horse riding, exercise in the health club or be pampered in the spa. The five hundred and fifty guest rooms and suites with lake or mountain views are described as elegant and polished yet relaxed and inviting. 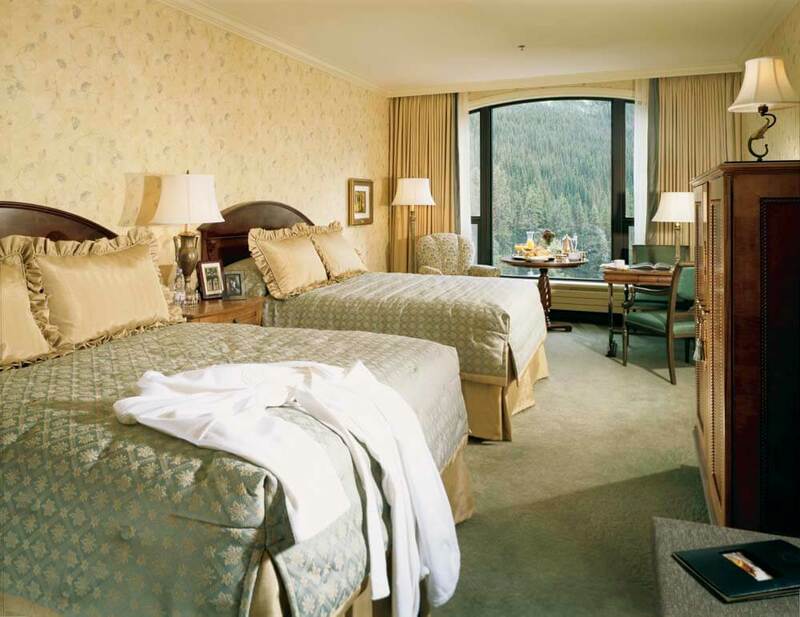 You will find a large choice of rooms available; Fairmont Rooms face the Chateau grounds and hillside. 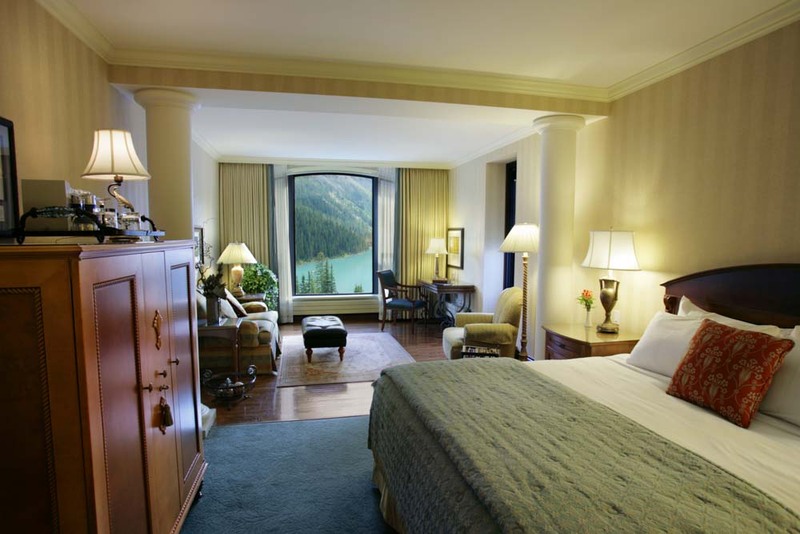 Identical in layout, Fairmont Lakeside Rooms overlook postcard-perfect Lake Louise and the majestic Victoria Glacier; the larger Deluxe Room face the Chateau and the Deluxe Lakeview Room again overlook Lake Louise. Junior, One Bedroom Suites with a sofa bed in the living area and Two Bedroom Suites sleeping up to six people are available with Chateau or lake views. The Fairmont Gold guests staying in a Room, One Bedroom or Junior Suite, some with lake views, will enjoy elegantly appointed rooms featuring modern bathrooms and state-of-the art technology, exclusive entry to the Gold Lounge, complimentary continental breakfast, evening hors d’oeuvres and an honour bar. 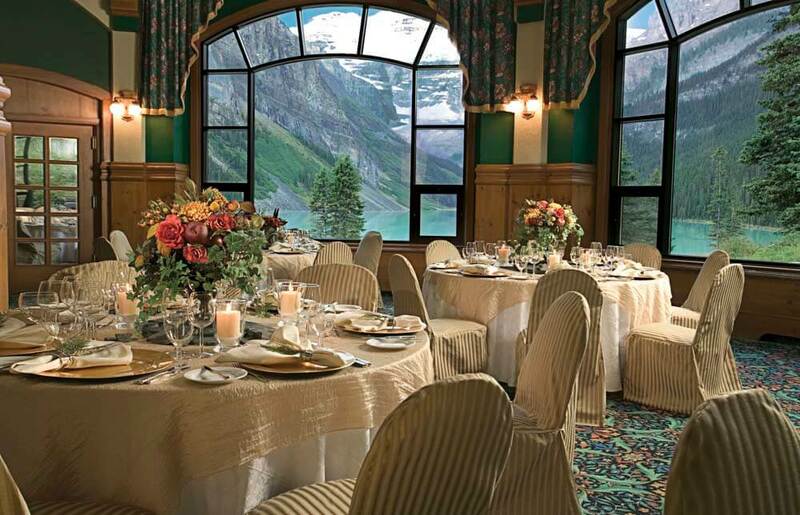 The Fairmont Chateau Lake Louise offers a broad range of six dining options, from a gourmet sandwich at the twenty four hour Chateau Deli, to a fine dining experience at the four diamond Fairview Dining Room. 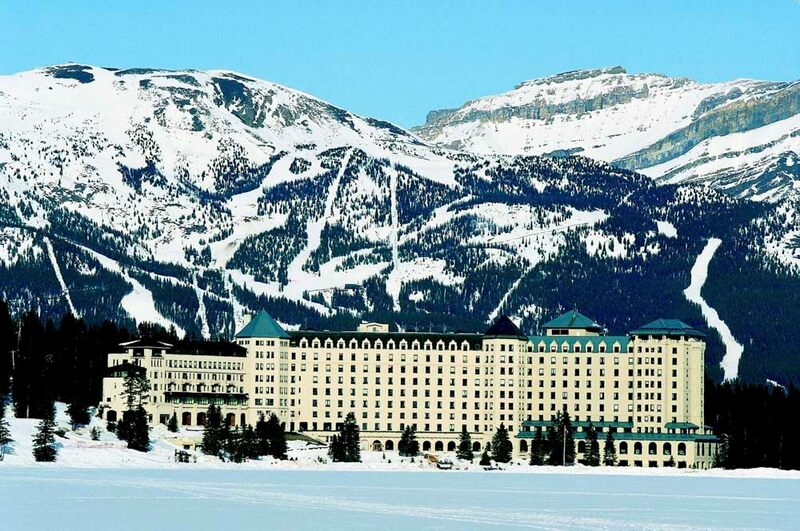 The near by Fairmont Banff Spring Golf Course is renowned for its panoramic beauty, if you would like a round of golf.